The Eaton 9SX UPS is a high performance double-conversion online UPS that provides advanced protection for Infrastructure, Industrial, Medical, IT, Networking, Storage and Telecom applications. The Eaton 9SX Series network UPS boasts an easy-to-read LCD display, double conversion topology and an internal static bypass with a low total cost of ownership. Compatible with Eaton’s network connectivity cards and Intelligent Power Management (IPM) software, this UPS is a vital piece of any physical or virtualized IT environment, providing the highly efficient and reliable power you expect from a 9-series UPS. Network, Modbus, Relay and signal input functionality enables integration into a variety of IoT and IIoT applications. 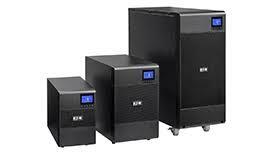 The Eaton 9SX is a popular single phase UPS for college campuses and k-12 schools. For more information on meeting the challenges of IT in Education, see the Eaton Education Report here. Our Single Phase Fleet Management Services are designed for the IT manager responsible for multiple UPS and cooling units at a single site or multiple sites. 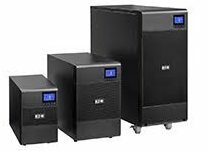 We will help inventory, track, and manage your fleet of single phase UPS equipment.